Here's a quick and easy way to really schmancy up a simple package and as a bonus the recipient gets to have a beautiful keepsake wreath ornament for their tree! 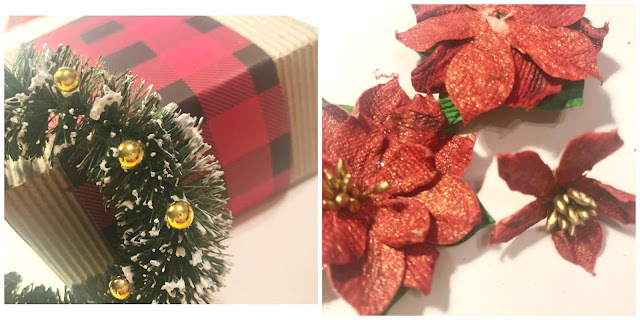 This project uses many of the products from my previous post titled: It's The Most Wonderful Time of the Year - love giving my Spellbinders and FSJ supplies double duty because it saves time, money and I get to create with products that I love - over and over again- YAY! 1. 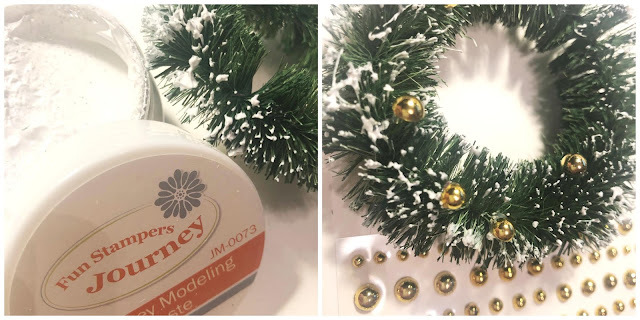 Gently roll the wreath in the modeling paste to resemble a dusting of snow and set aside to dry. 3. Assemble the Treat box by folding along the scored lines and tucking the tabs into place. 4. Cut a strip of the Buffalo Check Paper from the Cozy Prints paper pack. Score along the edges of the treat box to form a snug band around the treat box. Secure underneath with tape. 5. 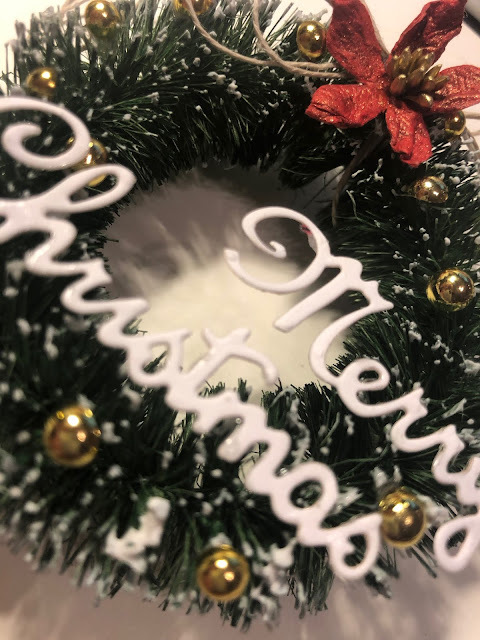 Gently remove the top layer of petals and center from a Poinsettia Burst embellishment - ensure that it remains intact. 10. 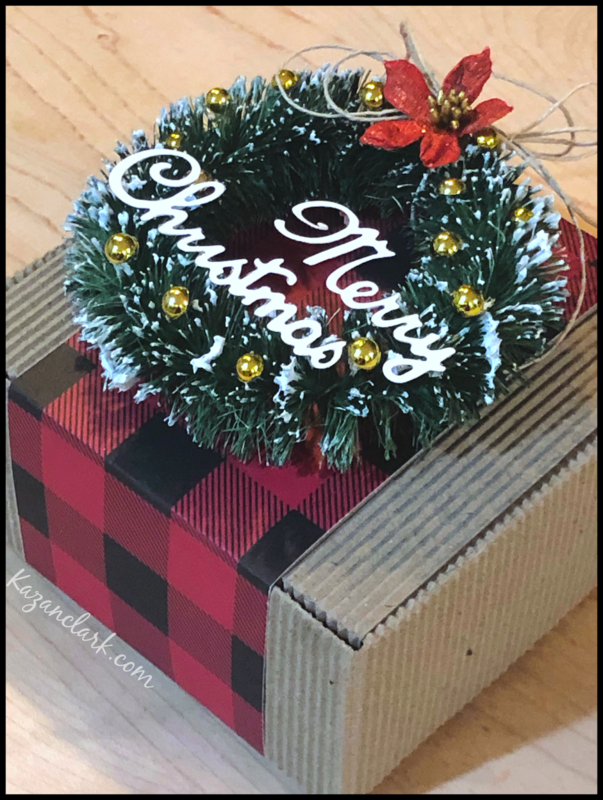 Gently secure the wreath to the Treat Box using small glue dots to ensure that it is easily removable to use as an ornament. I love that many of the supplies used today come in sets of 5 or more so these really do make awesome hostess gifts, table gifts or something fun for a group of collegues! Thanks for spending part of your day with me!